Welcome! We love Beginners & Advanced Athletes! We offer 7 CrossFit Classes a day and we have 24 hour access! My vision when I opened this box was to be a CrossFit box that anyone could workout at regardless of age, shape, size, history, injuries and fears. This is my ​happy place, where I go to escape and work on myself. Our box is a positive environment, family friendly, motivational, and a fun place to grow! Scared? Don't be. I can modify anything to accommodate your fitness level. We warm up together, we stretch together, workout together, and improve together. Please come give us a try. You'll love the push, but at the same time, we’ll make sure you are careful and safe. CrossFit is a strength and conditioning program like no other. We row, we run, we do push-ups, pull-ups, Olympic weight lifts, and gymnastics all in scalable ways for any age and any fitness level. This is all done in a supportive group environment where results are endless. If you want a program that challenges you both physically and mentally, gets you in the best shape of your life and doesn’t take hours….CrossFit is for you! Your first workout at Crossfit Gorilla Den will be a fun and efficient experience. Each class starts with a dynamic warm-up, then it’s skill training, instruction and movement standards for the WOD (workout of the day). When your coach says “3-2-1 Go!” the challenge begins and our community of athletes push them selves and encourage others to achieve elite fitness. Please come to Crossfit Gorilla Den at the scheduled time for your class, and we will warm up together! No. Really. There is a common misconception that CrossFit is for elite athletes. The truth is that it is for everyone. Sure, we say that we are “forging elite fitness” and we are. This means that you start the journey where you are today. And, if you stay on our path it’s likely that you will get in to the best physical, emotional and mental shape of your life.Our community is comprised of competitive athletes, former athletes, working professionals, stay-at-home parents, people that had never stepped foot into a gym and people with physical ailments. Our program is the most efficient, most effective regimen for everyone. Allow us to get you into the best shape of your life. No. The beauty of CrossFit is that all exercises are based on movements that you already do–like squatting, pushing and pulling. Exercises are scaled to inspire the beginner and challenge the most elite athlete. Your first workout at CrossFit Gorilla Den will be a fun and efficient experience. Each class starts with a dynamic warm-up, then it’s skill training, instruction and movement standards for the WOD (workout of the day). When your coach says “3-2-1 Go!” the challenge begins and our community of athletes push them selves and encourage others to achieve elite fitness. For your first class, please arrive a few minutes early to meet our members, coaches and get to know our box. We are located at 9840 Leopard in the Westwood Shopping Center. 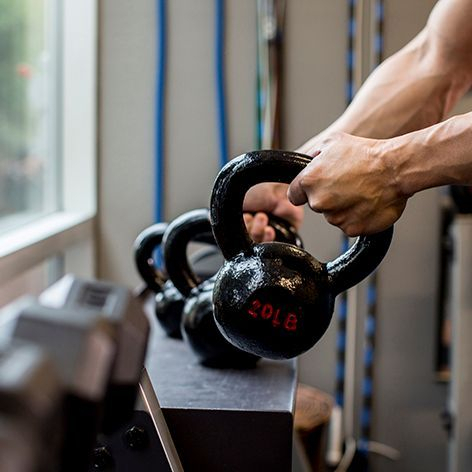 Our facility is over 4000 sq ft and is equipped for CrossFit WODs with barbells and weightlifting equipment, dumbbells, kettle bells, medicine balls, rowers, boxes, assault bike, 15′ rope station, sleds, a tire and a Rogue pull up rig. We have showers, a kids area, and have access for our members 24 hours, 7 days a week. Give us a try! Your first class is FREE! Please come out to our community workout at 9am to celebrate the life of a fallen hero and the importance of suicide awareness. Bring your vest or backpack, can also be done with dumbbells. Workout consists of 1000 step-ups on a 20” box with , can be split in teams as well. FitFest 2019 - Last day to register and make payments is 12/31/19. Please email [email protected] if you need to make other arrangements! This competition will take place at Richard M. Borchard Fairgrounds (Convention Center) in Robstown, Tx.